We are seeing more and more books being written by compassionate Bible scholars who passionately believe that we have been misinterpreting the Bible when it comes to our stewardship of the earth and all it contains (humans, non-humans, and the environment). Ian A. Stuart's The Animals' Bible is one of those books; however, his approach is unique. 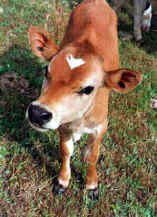 We found one of Ian Stuart's statements quite profound, when he was talking about his own development and his instinctive compassionate attitude toward animals and the way adults tried to destroy they sensitivities: "However, no matter how earnestly adults try, they cannot fool children. The young have an uncanny of adding two and two and coming up with hypocrisy." The Animals' Bible cuts through all this hypocrisy! In The Animals' Bible, we are taken on a step by step journey through the pages of the Bible, Apocrypha and other references, to come to an understanding of the intent of both God and the original writers, and in turn, of our own responsibility as stewards of God's earthly creation. 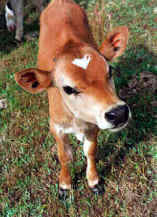 In The Animals' Bible we also find ourselves on a spiritual journey with the author as he awakens to God's intent for us to be His loving and compassion caretakers of the earth. Many of us may differ in specific Biblical interpretations, but the commonality of our quest to understand God's intention for a cruelty-free world is most evident in Ian Stuart's book. 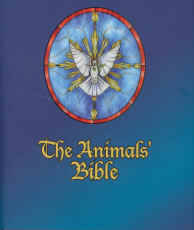 We highly recommend that you, too, take this spiritual and compassionate journey with Ian Stuart through the pages of The Animals' Bible. Read portions of the original The Animals' Bible that Ian Stuart sent to us in 2000, well before the book was finalized, and better yet, buy the book. Ian A Stuart is a film, television, live theater and radio producer who has written, produced and directed over 135 films and television programs including "The KangaZoo Club", a 26 week children's television series about animals produced for the Global Television Network. Motivated by a lifelong affinity for animals and abhorrence for the moral evil of cruelty, Ian became one of the founders, past president, and former director of his local Humane Society. Through the society he was extensively involved in the rescue, rehabilitation and release of urban wildlife over a period of six years. Now concentrating on writing, Mr. Stuart is working on several screenplays and a number of projects related to animal welfare with both spiritual and practical applications. Ian lived and works in the community of Scarborough in Toronto, Ontario, Canada where he attends the Anglican (Episcopal) Church of St. Paul's L'Amoreaux and frequently officiates in Morning prayer and Evensong.